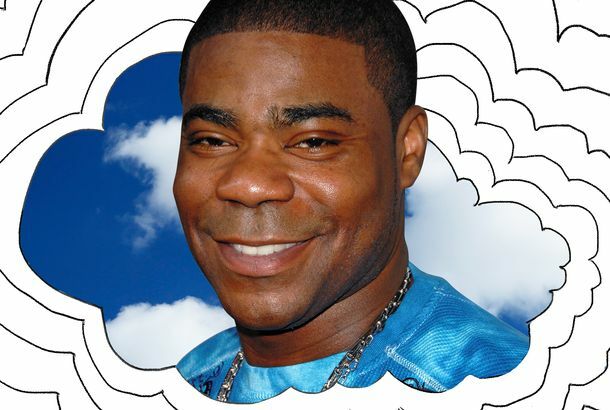 Tracy Morgan Cut From Eternal Sunshine of the Spotless Mind for Being Too FamousAccording to Jim Carrey. Tracy Morgan and Tiffany Haddish Are Back in The Last O.G. TrailerThe TBS comedy returns for its second season in April. Ariana Grande Helped Chris Kattan Hold the Keyboard for That SNL Christmas SongShe also wishes it was Christmas today. Tracy Morgan Wants You to Know He Loves YouEven the truck driver who caused his his near-fatal 2014 accident. The Last O.G. Is a Hopeful Comedy That Brings Tracy Morgan Back to TVMorgan returns in this engaging comedy, and Tiffany Haddish is along for the ride. Taraji P. Henson Will Read Tracy Morgan’s Mind in What Men WantWhat’s going on in there? 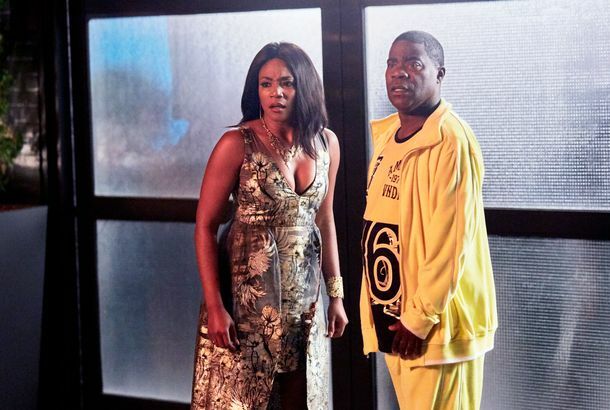 Your First Look at The Last O.G., Tracy Morgan and Tiffany Haddish’s New SitcomThe series premiers April 3 on TBS. The Best Preshow Advice Tracy Morgan Gave to James DavisAnd, believe it or not, his best set was with one of his toughest crowds. I Think About This a Lot: The Tracy Morgan Nigerian Prince Movie That Almost WasFreshman Roommates promised that if we paid for a ticket, it would repay us with Tracy Morgan as a Nigerian prince. In the end, it scammed us all. Netflix’s Latest Revival Is a Def Comedy Jam 25th Anniversary SpecialFeaturing Dave Chappelle, Tiffany Haddish, Tracy Morgan, and more. Tracy Morgan and Luke Wilson to Play the Titular Leads in The ShitheadsFrom I Don’t Feel At Home In This World Anymore’s writer/director, Macon Blair. Tracy Morgan’s New Netflix Stand-up Special Is About ‘Staying Alive’The special comes out May 16. Tracy Morgan Forgives That Walmart Driver Settlement money! Ed Helms and Tracy Morgan Will Star in Comedy TAG Based on the true story of a group of friends who play cross-country tag for 30 years. Tracy Morgan, Jordan Peele Comedy Gets a 10-Episode Order at TBSThe untitled half-hour will follow an ex-con trying to fit back into society after 15 years in prison. Tracy Morgan Is Back to Testing New Comedy Material at RestaurantsHe was spotted doing an impromptu show at Old Homestead. Watch Eddie Murphy’s Tracy Morgan ImpressionBALL. PARK. FRANKS! Morgan, Notaro, Maron to Headline NYCFAlso, Trevor Noah, Patton Oswalt, Bill Maher, Bridget Everett, and T.J. Miller. Watch Tracy Morgan Celebrate Prince in Almost Exactly the Same Way You DidIt’s silly, no? Tracy Morgan Cancels Comedy Show in Mississippi Over Anti-LGBTQ LawNorth Carolina isn’t the only state under fire for discrimination. Tracy Morgan Performed for the Doctors Who Treated Him Post-CrashTruly a Jedi move.